Next Thursday the UK VMUG UserCon will be held at the National Motorcycle Museum in Birmingham. This is a jam-packed event with speakers covering a wide-range of topics such as digital transformation, end-user computing, containerisation and of course, automation. I will be presenting a session at 1.50pm on migrating code from Dev to Prod using vRealize Automation and Code Stream. In the session I will do a brief overview of each of the individual components, followed by a live-demo featuring the vRealize Suite, Artifactory and Git. I shall also be completing proctoring the Hands-on-Labs throughout the day, so if you get bored please feel free to drop by and say hi (or even take a lab). 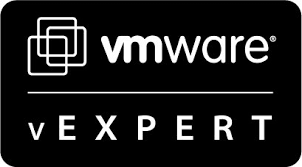 You can check out the full agenda and register for the event at https://www.vmug.com/Attend/VMUG-UserCon/United-Kingdom-VMUG-UserCon-2017.